Call SWEETUMS FLOWER & GIFT SHOPPE. The place where flowers are uniquely designed and affordably priced. We're more than just your average florist! We’re a local Attica, Ohio florist with a lovely variety of fresh flowers and creative gift ideas to suit any style or budget. We hope you enjoy your online shopping experience with secure 24-hour ordering right at your fingertips. If preferred, you may call us to place orders direct at 419-426-7673. 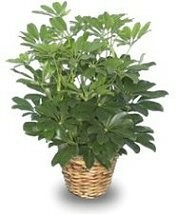 Shop from our Green Plants, Blooming Plants and Dish Gardens for a gift that adds life to any room or office. We also offer a variety of other choices… Gifts, Greeting Cards, Home Décor, Scented Candles, Silk Flower Arrangements, Plush Stuffed Animals, Balloons, Willow Tree Products, Concrete Angels, Stepping Stones and more! We also make our own Soy Candles! Call us at 419-426-7673 to schedule a consultation, so we can help you start planning flowers for your dream wedding or a special event – large or small. Our talented designers create bouquets, flower arrangements and on-site decorating with each client’s individual style and budget in mind. Also, ask about renting: Square vases, Wedding Arch and Tuxedos. Thank you for visiting our website with flowers delivered fresh from your local ATTICA, OH flower shop and convenient online ordering 24 hours a day! Looking for designer wall decals at an affordable price? Visit Sweetums Signatures, owned by my daughter, Danette Martin. They service all of your decorating needs. Also, ask about Renting: Tents, Tables/Chairs, Table Linens and Frozen Drink Machine. You are sure to find what you need without breaking the bank!